Dr. Sunday Oji Abel is a professional engineer, an educationist and successful entrepreneur, Oji has a doctorate degree in Mechanical Engineering from the prestigious Warsaw University of Technology in Poland. Prior to venturing into private business, he was a lecturer with The Polytechnic Nekede, now Federal Polytechnic Nekede, Owerri, Imo State. He is currently the Chief Executive Officer of Octopol Nigeria limited, a conglomerate with interests in manufacturing (nails factory), mining (granites extraction and polishing), agriculture (poultry farming), imports and exports. Dr Abel's 22 years experience in both the academic and business environments has been of tremendous benefit in shaping the strategic focus of Cowry Asset Management Limited. Mr. Mike Chukwu was until June 2007, the Managing Director/Chief Executive Officer of Spring Bank Plc. He piloted the successful merger of 6 banks to form Spring Bank in December 2005. Prior to that date, he was for 4 years, the Managing Director/Chief Executive Officer of Guardian Express Bank Plc, one of the constituent banks in Spring Bank. He joined Guardian Express Bank in December 2001 from ACB International Bank where he was General Manager responsible for operations and information technology. 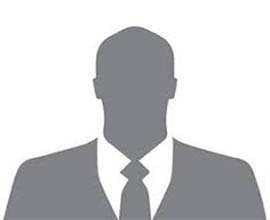 Before then, he had served as Deputy Vice President (Investment Banking) at First Atlantic Bank (Fin Bank) where his area of coverage included Treasury (both local and foreign currency), Corporate Finance, Private Banking and Internet Banking. Mike Chukwu started his Banking career in Fidelity Bank where he was Assistant Financial Controller. 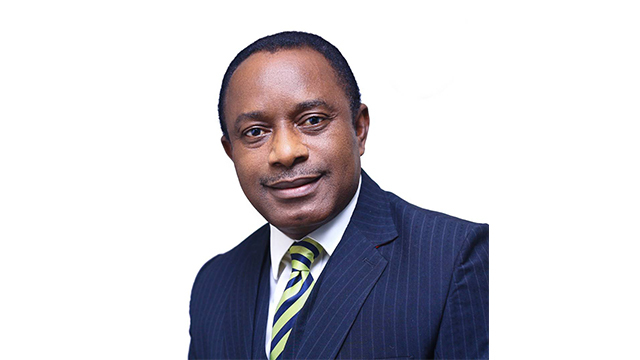 He has also served as pioneer financial controller, Citizens International Bank (1990), Assistant Vice President, First City Monument Bank (1996) and AGM, United Bank for Africa (1998). Before commencing his banking career, Mike had trained as a qualified Chartered Accountant with Price Waterhouse for 4 years. He was also a 1st Prize award winner in the Institute of Chartered Accountants (ICAN) in November 1986 and he became a fellow of the institute in 1998. He holds a First Degree (2nd Class Upper) in Political Science and lectures regularly in the programmes of the Financial Institutions Training Center and Chartered Institute of Bankers of Nigeria (CIBN). He also holds professional membership with Chartered Institute of Taxation of Nigeria and the Nigeria Institute of Management and has attended several courses in Harvard Business School and Lagos Business School. 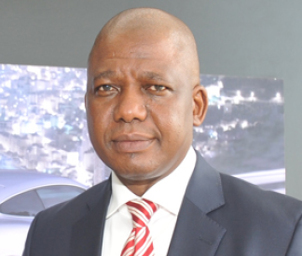 Mr. Josiah Samuel is the Group Managing Director of Coscharis Group of Companies (including Coscharis Motors Ltd, the sole distributor of BMW Vehicles in Nigeria.). Mr. Samuel has acquired capabilities in diverse sectors of the economy such as acquisitions and turn around management. He started his career with First Bank and subsequently worked with Nigeria Arab Bank, Fidelity Bank and Broad Bank. In 1993, he joined Coscharis Group as a Deputy General Manager (DGM) and was appointed Group MD in January 2003. Between 2001 and 2002 he set up an investment and consultancy company, Sure Comfort Ltd, which he managed for 2 years. 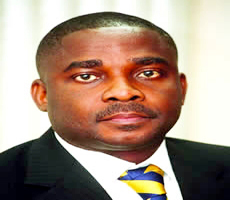 Mr. Samuel served as an alternate Director and Director on the Board of Guardian Express Assurance Ltd respectively. Josiah holds an MBA in Technology Management and an Advance Diploma in Management from Ogun State University and University of Lagos respectively. A corporate strategist, Josiah is very passionate with business development, turn around management and Coporate restructuring. Mr. Mallinson A. E. Ukatu is a successful entrepreneur and an accomplished businessman, Mallinson holds a Bachelor of Arts degree in Philosophy from the University of Nigeria Nsukka and is a certified cost manager with the Institute of Cost Management of Nigeria. He is the founder and chairman of Mallinson & Partners Ltd, a company with multi-billion naira annual turnover and interests in steel, industrial paper, etc. Mallinson also seats on the Board of several successful Nigerian companies including Fruitropics, a renowned domestic oil marketing company. Mrs. Funmilayo Ojesanmi is a graduate of Pratt Institute, Brooklyn, New York; where she obtained a B.SC in Nutrition and Dietetics in 1982. Being a dynamic individual, in 1984 she acquired a B.SC in Nursing and a M.SC in Food Nutrition and Dietetics concurrently. Versatile expert in her field, she has worked in the Baptist Medical Centre of New York, where she served as a staff. Clinical Dietary. From there, she served the public in her role as a Public Health Nurse in the New York City Department of Health Bureau of Child & Adolescent Health. There she was actively involved in Disease Control in students. Since then, she has worked as a staff nurse in Brooklyn Hospital Centre, a Coordinator of care in the visiting Nurse Service of New York, Mediator Health Visiting Nurse Association, Prince George's County Health Department to mention a few organizations where she carried out diverse functions of high importance. Presently, her skills are well utilized in the Henry .M Jackson Foundation for the advancement of Military Medicine and Maryland General Hospital where she acts as a clinical Research Nurse and Per Diem respectively.